Starting a business is a lonely journey. We know because we've been there. When it comes to building a company, money alone isn't enough. YOU NEED MORE THAN JUST passive investors, random MENTORShip and a few coffees. You need a team with proven track records and solid expertise in your industry. You need seasoned advisors and teammates who are committed to partnering in your success for the long term. All this in addition to capital. Here at FoundersPad, we will never passively invest in your business. Instead, we partner with passionate entrepreneurs who understand that human capital is as valuable as investment capital. Our deep roster Mentors have deep and specific functional expertise to help your business. They come to the table with our entrepreneurs to bring long-term, very focused and dedicated mentorship to help them hit critical milestones. - Eric Healey, CEO of The NoBake Cookie Co.
At FoundersPad, mentorship is something much more in-depth and meaningful than a few random coffees, and someone who occasionally answers your phone calls and emails. 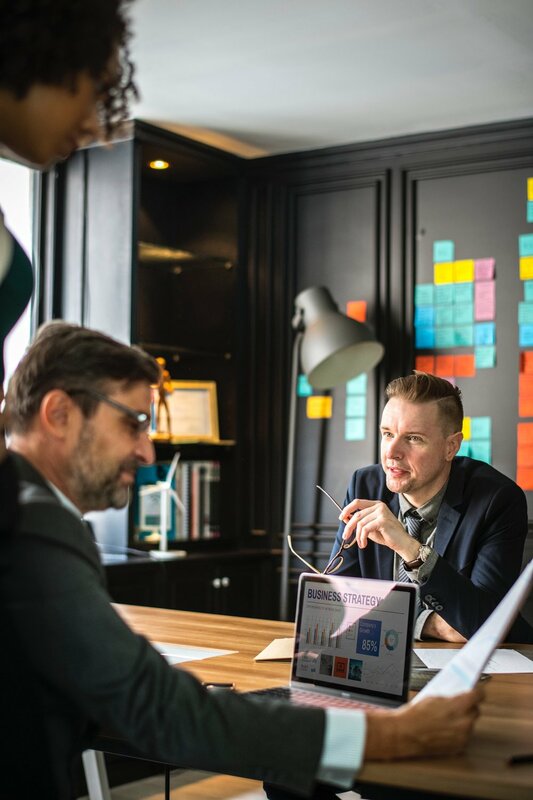 We believe truly effective mentors need to really dig in with the business and the founding team, and be properly incentivized and motivated to do so. Professionally managed oversight of mentor teams. Ensures entrepreneurs can focus on executing, and not managing mentors. Keeps your mentor team focused, productive and moving forward to meet the defined goals. Warrant-based compensation ensures both mentors, founders and FoundersPad takes appropriate risk. Warrants are performance-based and vest over the duration of the mentorship agreement. The average FoundersPad mentor team has a cash value of $200,000 in services if they were to be hired directly for the advising, oversight and services they provide. Mentors work with companies on a weekly basis. Increased MRR from $0 to $70k/month. Increased SaaS subscription revenue MRR from less than $3,000 to over $30,000/month within 6 months. Sales model tweaks and expertise in streamlining production resulting in raising less money, on more favorable terms for founders and increasing revenue 3x within 12 months. Our investment thesis is to engage with the companies during their participation in our formalized mentorship program, and quickly follow-on with investment. We prioritize companies that our core team and mentor roster can make a meaningful difference in within 12-18 months or less. Both our mentoring engagements and investment terms are on standard and favorable terms. All companies are different and we are flexible on terms based on your needs.